Nigeria Is Sinking, Needs Urgent Help! The political situation in Nigeria, Africa's most populous country, is worrisome. The country is fighting corruption, but it is not seen to be winning against corruption. The fight against corruption has been hijacked by faceless political overlords, and the fight has become an instrument to haunt political office holders and others, who don't follow or belong to the ruling parties. Now, there is a mad rush of politicians carpet crossing from other parties to the ruling party. Whereas Nigerians expect their government to direct attention at issues that will lift the country from the abyss and impact their life, but the current situation does not seems to show that the government is doing just that. It is not the beginning of the country's senseless misdirection. From 1960 to date, the country has witnessed successive leaders, who care more about themselves than the country and the people. The result has been coups upon coups, civil war and economic jeopardy. Many Nigerians say they have become observers to events in their own country, watching elected leaders discussing restructuring, but careless about the people's economic plight. The people seeking structure and those against restructure are said to be birds of same feather. Those seeking restructuring think Nigeria cannot get better economically without restructuring. But curious observers think that those seeking restructuring are seeking to advance their region or tribes and self needs, while those against restructuring want to conserve what they are gaining from the current structure. Many Nigerians believe that restructuring or no restructuring, governments in the country can make life more amenable than currently the situation. For example, they say power generation in the country has become worse than two years ago. They say the economic situation has also become worse than two years ago. ​ Politicians in office blame the worsening economic situation on the fall of oil price. Consequently, workers in many of the states around the country beg to be paid their salaries. Nigerians cry everyday about the drop in power generation and the economic situation. Consequently, they say kidnapping and other crimes indexes are way up. When the current government in the country came to power about two years ago, it pledged to undo all the damages caused by its predecessor, with a vow to eradicate corruption. But as soon as the government began nominating National Assembly officers, it ran into the cloud of self serving politics that has dogged the country's path to progress since independence. 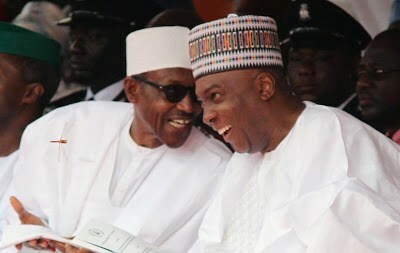 it was not the man that the powers at the helm wants as the senate president that emerged as the senate president. All attention has been devoted toward ensuring that the unwanted senate president gets punished for defying his party. Therefore, the country's senate president was before the tribunal on a case he would not have cause to be facing the tribunal if he has not become the senate president. Just few weeks ago, the tribunal quashed all the counts of corruption brought against the senate president after almost two years. Amid questions about which power in the country was responsible for the senate president's woes, the country's leader, President Muhammad Buhari fell ill. The president has spent more time in London taking care of his health than he has spent taking care of the country. And it has just emerged in the news that the government has expressed intention to appeal the tribunal's decision quashing corruption counts against the senate president. People are asking about the definition of corruption and whether it is not self serving attitude of doing things to benefit self and careless about what happens to others? Many Nigerians are saying that this government should stop haunting one man endlessly and better pay attention to the country's needs.It is believed that this same type of self serving politics has been responsible for the country's woes from independence. Many Nigerians believe that if their country has not been destined mismanagement arising from self serving politics, there would have been no way military leaders, who have graced the office as leaders would have emerged. ​ They say there would have been no Yakubu Gowon, there would have been no Aguiyi Ironsi, there would have been no Murtala Muhammed and and there would have been no Olusegun Obasanjo, Ibrahim Babangida, Sanni Abacha. Now, the going and coming of Buhari, first as a military head of state and as elected president with a sinking boat, has brought the country's misfortune to Nigerians' attention. People have noted that the existence of endemic corruption has accentuated the need for frequent change and overthrowing of governments, bringing mediocre as leaders. But the change never happens in reality, at least to the political and economic situation. Many Nigerians know that Nigeria is not sliding, that the country has been sliding for a long time and that the sliding has not been unnoticeable, and that the country is sinking economically for lack of desirable political leadership. They say many many companies that Nigerians have known in the past are leaving to other countries, because it is no longer productive to operate in the country. Many people are asking whether it a curse or not a curse to have one leader die in office after a long period of his office covering up his medical condition from Nigerians, and to later has another one repeating the scenario... sick, goes abroad and his office continues to cover up the medical condition. Yet, Nigeria pays the bills. In the middle of this madness, there is a group in the North of the country that thinks that Nigeria as a country belongs to them, and that it has the right to decide the part of the country to remain in the country or secede.